CureChild teaches parents how to treat and prevent childhood illnesses with safe, effective holistic medicine. This project included the design, build and strategy of a new membership website. The public site includes blog posts, background information and a sales page. The membership area includes a series of protected video content and ebooks, split into subject modules. 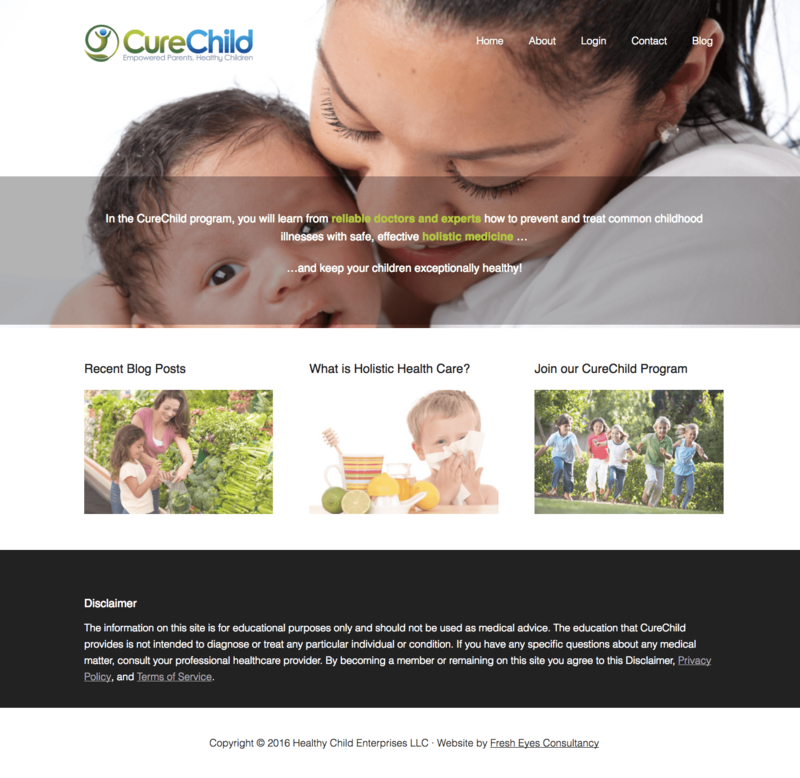 You can view the CureChild website here.